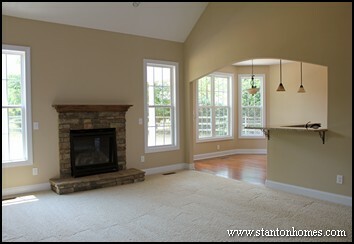 We love to show off photos of NC custom homes that include all your favorite features. 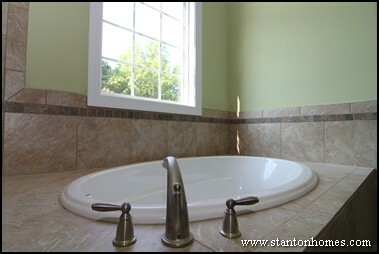 What design trends are we NOT showing you? Here are our top 5 LEAST favorite design features - with some good reasons why they are no longer popular in Raleigh, NC new homes. 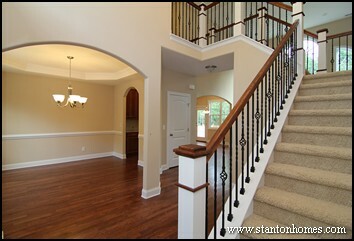 In 2012 new homes, brass is out and brushed nickel and oil rubbed bronze are contending for the number one seat. 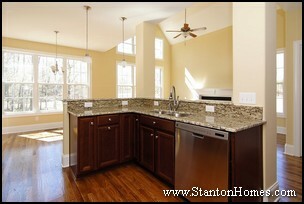 Stainless steel fixtures, particularly in the kitchen, are also very popular in Raleigh new homes. Many new homes are trending towards incorporating hardwood flooring throughout the entire home (or throughout the entire first floor of a home). But that can be expensive, depending on the type of hardwood. 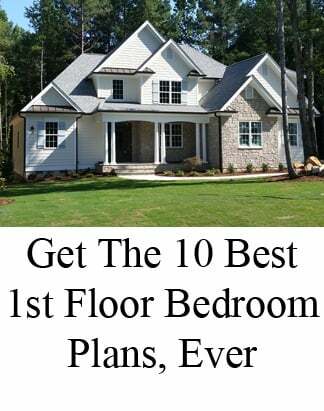 A more popular (and money savvy) alternative is to include carpet in all bedrooms, hallways, staircases, and bonus rooms, with tile in wet areas and hardwoods in the main living areas. 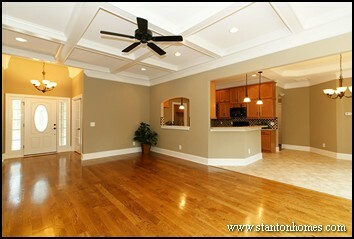 It will be difficult to find a 2012 new custom home in the Raleigh, NC area with a closed floor plan design. 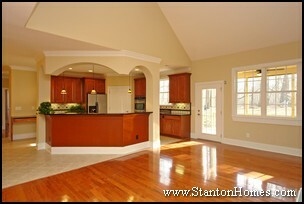 Homeowners are trending towards kitchens open to the great room, vaulted ceiling styles, and more open areas throughout. 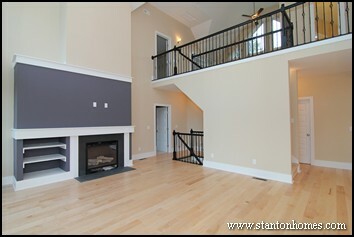 Second story overlooks are also a popular way to keep floor plans open. 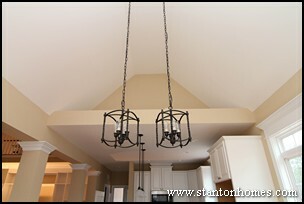 New homeowners opt to include smooth ceilings over popcorn ceilings - and for good reason. 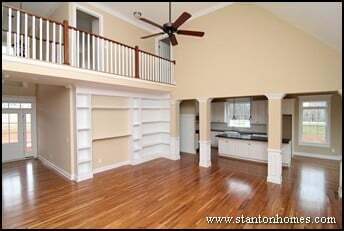 Popcorn ceilings look out-of-date, cannot easily be repainted, can be expensive to remove down the road, and can distract attention away from the specialty crafted barrel, vaulted, and trey ceiling designs in NC custom homes. 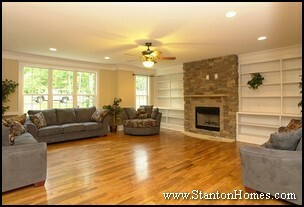 In line with the trend towards more open living is more casual living styles. 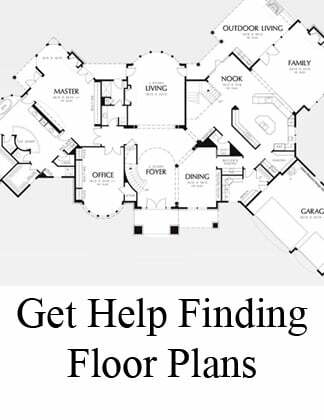 Floor plans are eliminating formal living rooms, which serve as underused and unnecessary space in the modern home. 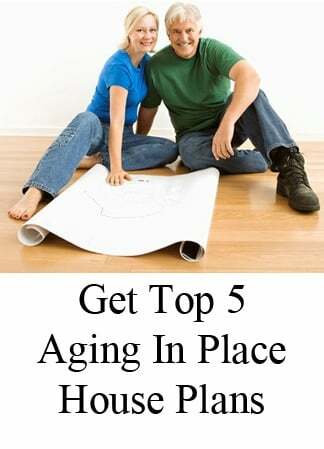 Instead, new homeowners are expanding the square footage of the single great room, and often adding a first floor office or computer nook. 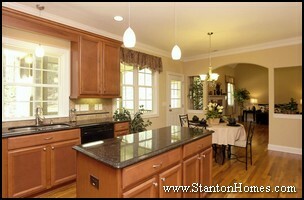 Designing your custom home with all the right features can be EASY - when you work with the experts at Stanton Homes. 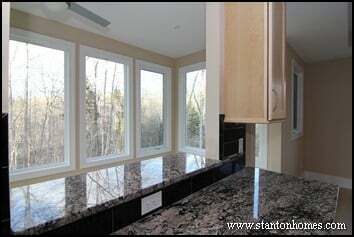 From floor plan design down to kitchen knob selections, you’ll know just what you’re getting, up front, when you build a Stanton Home. Want to get back to the design trends that ARE popular? 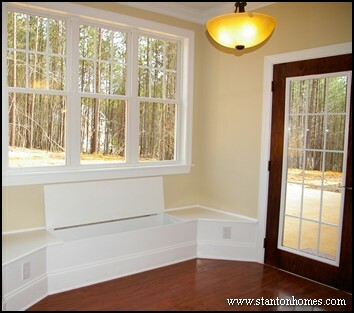 Read about North Carolina custom homes. According to the home design trends survey for 2nd quarter 2011 from the American Institute of Architects, several special function rooms, such as home offices, outdoor living spaces, and mother-in-law suites have seen increased popularity from 2010 to 2011. A few other special function rooms have shown a decline in interest during this time period, including greenhouses, pet rooms/interior kennels, and storm rooms/safe rooms. 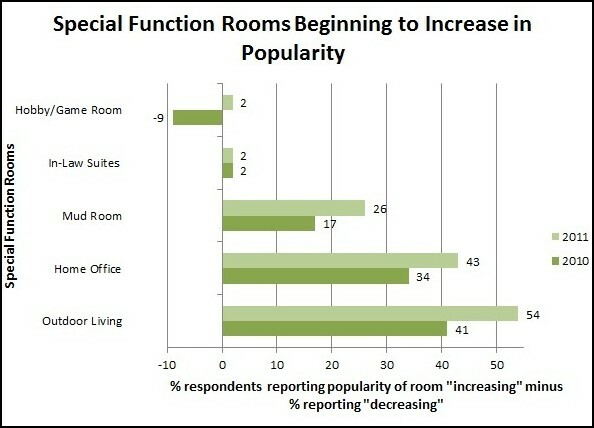 Hobby/game rooms show a come-back, from their decline in interest in 2009-2010 survey results. 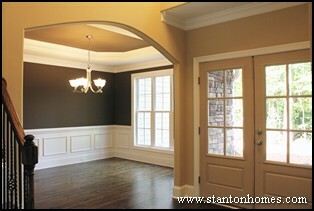 Which is more popular, formal dining rooms or home offices? Are Kitchen Islands on the way Out? Are kitchen islands on the way out? 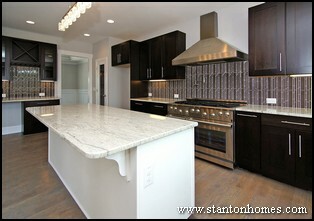 We’re seeing a trend toward other approaches to kitchen space, and not everyone opts for an island anymore. Here’s what to consider before you add space that actually takes away what you think you’re getting. Packing an island into the kitchen isn’t always a good idea. A kitchen island can crowd the room, and actually take away some of the spacious appeal – especially if there’s more than one cook in the kitchen! With today’s trend toward smaller and more cost effective homes, there’s also some creativity in kitchen designs that make better use of tight spaces. 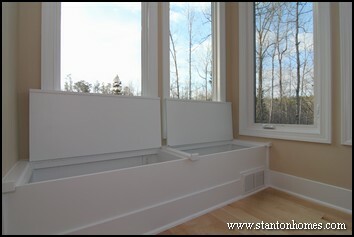 With cabinet wall dimension of 12' or greater, that 45's into another cabinet wall, the functionality of the kitchen can be improved if the third wall or "leg" of cabinets is an island. This is because it allows you twice the access to the long wall that is 12' or greater, rather than just one access or traffic lane to access that whole wall and the other (probably shorter) wall. 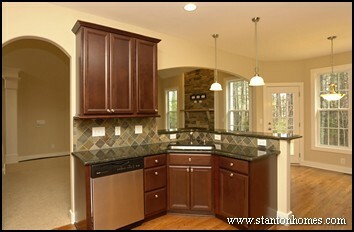 Kitchen design is based on the work triangle - the number of steps between the sink, cook top, and refrigerator. In smaller kitchens, the peninsula can be a better choice. 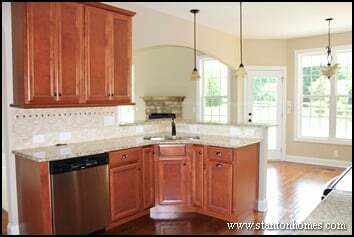 With a peninsula, you usually end up with more cabinets and greater square footage of counter top than when you cut up your space to include a small island. If your longest wall is shorter than 12', the peninsula layout ensures maximum counter space and storage for the square footage available. A small island could just end up getting in the way - and offers less than maximum use for the space. If seating is a priority, you may actually be able to seat more at a peninsula than at an island! Custom counter-tops, tile back splashes, special lighting and smaller details like cabinet hardware and wall color will give your kitchen a great look. But don’t add an island thinking you’re giving yourself more space – only to find out another approach could have given you more of what you’re looking for. 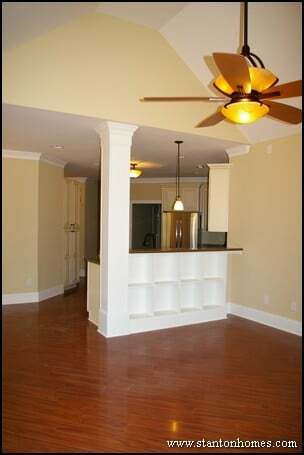 Check with our design team to see what you can do with your kitchen layout, to make every space count. 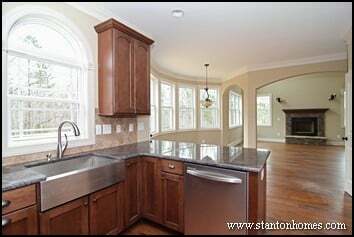 Which kitchen style is better, a peninsula or island? "Hi Andrea, I'm thinking of remodeling my kitchen. What is the trend now peninsulas or islands? We currently have a peninsula and thinking of changing to an island." 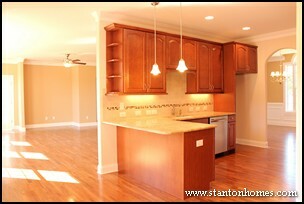 It is most important to consider the size of your kitchen rather than strictly following trends. 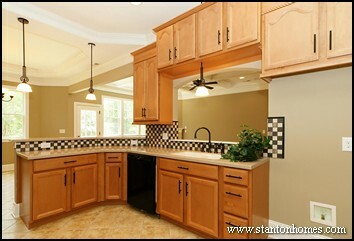 Island kitchens do seem to be the trend, but the reason they are the trend has to do with dimensions. As houses have become larger over the past two decades, kitchens have become proportionally larger than they used to be. In the progression of this change, it was discovered that as soon as you have one cabinet wall dimension of 12' or greater, that 45's into another cabinet wall, the functionality of the kitchen is improved if the third wall or " leg" of cabinets is an island rather than a peninsula. 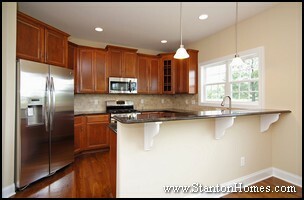 Kitchen design is based on the work triangle of the number of steps between the sink, cook top, and refrigerator. In larger kitchens, islands work better. In somewhat smaller kitchens, I prefer the peninsula. With a peninsula, you usually end up with more cabinets and greater square footage of counter top than when you cut up your space just to include a smaller island. If you think about it, all you are doing in changing from a peninsula to an island is taking away a piece of the peninsula to create a walk way that you really don't need. 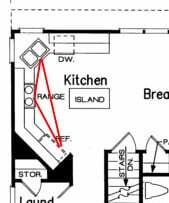 So, if your current kitchen is going to remain the same size after you remodel and your longest wall is shorter than 12', then I would stay with the peninsula layout if you want to ensure maximum counter space and storage for the square footage available. Using updated counter-tops, back splashes, and lighting and even paying attention to smaller details like cabinet hardware and also wall color, should sufficiently create an updated and brand new look to your kitchen without compromising work space. Good luck with everything and thank you again for your question--we love hearing from you and we love designing and building new kitchens for our homeowners every day! 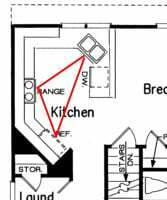 What Determines the Shape of a Kitchen? 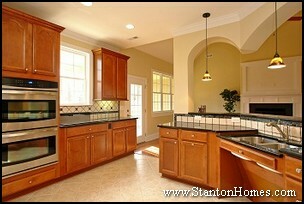 What kitchen design is best for you? 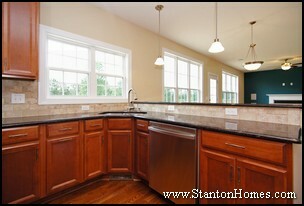 Here are four questions you should be able to answer when building your new kitchen. 1. How much time will you spend in the kitchen? 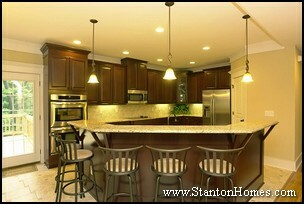 Kitchens have become the most popular hang out area of the home, as shown by the increasing sizes of new home kitchens. If you will be cooking, entertaining, helping with homework, and hanging out in the kitchen area, an open floor plan concept may be the way to go. 2. How many people will share the space? 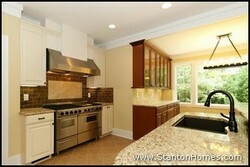 Do you need separate cook and prep areas for multiple cooks, with additional usable counter space? If so, an island or peninsula kitchen might make sense. 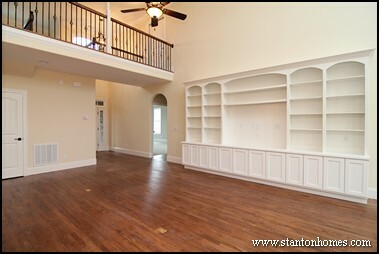 Do you have kids that need a play or homework area nearby? If so, consider adding an eating bar, which can be used for work or play, within eyesight of the cook. 3. Where will your traffic flow? 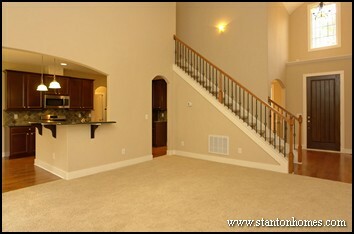 Consider the number of entrances and the layout of the counter and/or island to know how effectively traffic can flow. Do you want an open kitchen design, with free-flow traffic? 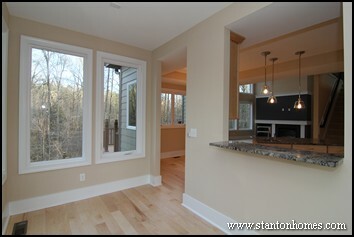 Or do you want a kitchen with more direct paths between rooms? 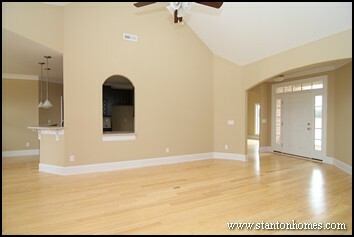 For example, you may want a separate hallway from the kitchen to the formal dining room. 4. 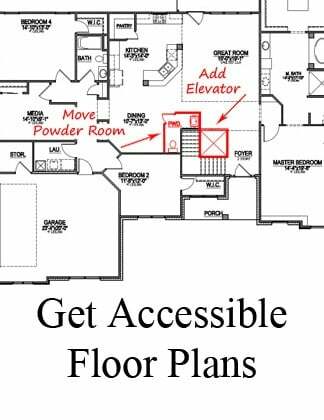 Is universal design or accessibility important to you? 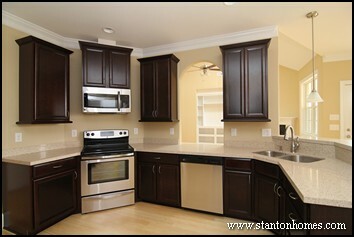 Plan your kitchen around your needs! For a universal design kitchen, consider including features like planned work centers, staging or landing areas, single lever faucets, pulls on cabinets, roll out shelves, open or visible storage (glass doors on cabinetry), and extra lighting throughout. For an accessible kitchen, consider including features like reduced height countertops, built-in range countertops with front controls and knee space below, pull-out shelving, accessible electric outlets and switches, roll-under kitchen sinks.